UnderCover Politics: How did we get to this? 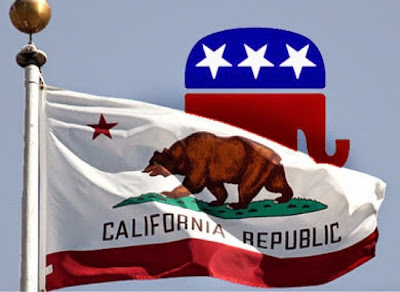 Two weeks ago, the California Republican Party held its Spring Convention and this weekend the California Republican Assembly held its respective conventions. Both these conventions also included leadership elections which carry a two-year term. Never mind the rest of the leadership since they don't wield any power, at least that's what's been claimed in the past. Tragically, neither of these two groups needed to have a ballot election for Chair or President. Both Chairman of the California Republican Party and President of the California Republican Assembly, ran unopposed, (I'd rather not name names since neither deserve much recognition in my opinion). From my standpoint these two characters haven't been the worst ever seen, but neither has provided the stellar results that would merit no one having the guts to run against either of them, if only to make it a little more interesting for the sake of political theater. I do understand. The California Republican Assembly is a micro group just fighting to stay relevant in today's political climate in California, and within the very CAGOP which is growing more and more liberal with each passing year, but The California Republican Party does represent 28% of registered Californians, which begs me to ask..... Where did our leaders go? Is the system so hopeless within the state party structure that no one wants, or cares to take on the task of trying to unseat anyone anymore? Has apathy become the norm in the Golden State? Have we become softened or just abandoned all hope due to seemingly insurmountable amount of Progressive ideology that our State has to endure? Or is it that money talks and you better forget running unless you are wearing a bow tie? Since when do these groups, who are supposed to represent the public, have "coronations" instead of elections? I pose the question rhetorically and directly…what happened? Maybe next time I'm at the Reagan Presidential Library, standing next to Reagan's grave, I will ask him, "How did we get to this?" Well dont think you can ask Michael Reagan because he doesn't know his father at all based on his answers when asked directly. Squishy moderate RINO. These groups and this party will not survive like this. I don't think any offspring can speak for a parent, specially after the parent has been gone over 10 years.